The heart of the Sentry35 is the GlobalWave MT3500 satellite modem that communicates over the GlobalWave™ satellite network. 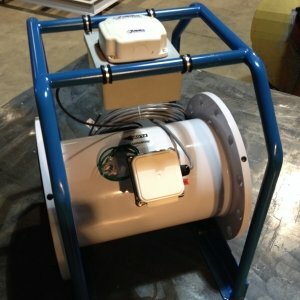 This is a bi-directional satellite network that permits data and messages to be received from the Sentry35, as well as allowing polls, messages, and commands to be sent to the Sentry35. The Sentry35’s most basic function is that of a Run/No-Run callout alarm for remote site equipment such as natural gas compressors, well heads, tanks, pumps, etc. The Sentry35 is self-powered by its own internal lithium battery pack, which can last over 2 years in simple callout applications. A solar module can be added to save hundreds of dollars and preserve battery life. The internal vibration sensor can be used for completely non-intrusive, “zero install” monitoring of compressors and engines. Simple end devices such as pressure switches, dry contacts, etc. can be monitored by connecting them through an inexpensive cable directly to the Sentry35’s I/O port. 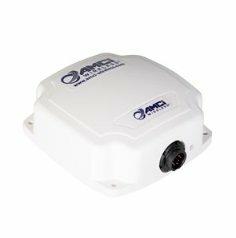 These end-devices require no external power source, making simple monitoring for site alarm conditions easier than ever. SatAlarm-Server is the web based user interface to the data. Alarm notifications via email, pager, text message to cell phone, and voice call by live operator are orchestrated by SatAlarm-Server. Users can log in securely to view current and historical data, generate reports, poll for up to the minute information from the remote asset, and more.